Christmas Movie Countdown – Number 1! The fell in love. Then they met. Christmas in Boston is the story of two pen pals, who started writing more than 10 years ago. They’ve seen each other through bad relationships, deaths of family members, winning science fairs, and much more. But they’ve never met. In fact, they’ve agreed to not even speak on the phone. Now Gina is all grown up and a newspaper reporter in Boston. Seth is a toy designer in Denver. But their pact to stay pen pals is thrown out the window when Seth’s company sends him to the big toy conference in Boston–the same conference that Gina’s boss makes her cover. But they each have a secret. They’ve given the other a picture of their best friend, claiming it was really them. So Seth sends Matt and Gina sends Ellen to meet each other. Meanwhile the real Gina and Seth bump into each other at the conference–they just don’t know who they’re talking to. Matt and Ellen add a whole lot of humor to this story of white lies that almost derail the a love that was meant to be. I love the romance, humor, and heart of this sweet story. What girl doesn’t dream of falling in love with her best friend, which is exactly what happens for Gina. 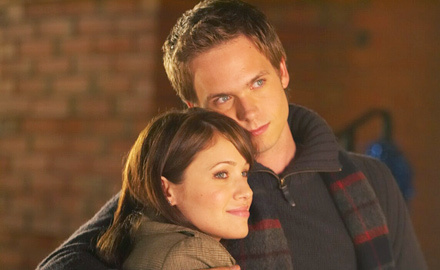 Not to mention, I might have a little crush on Patrick Adams, who plays Seth. Whew! He’s so adorable! The worst part about this movie is that unlike every other made for TV movie, ABC Family only shows it once or twice a year. So if you can catch it, don’t miss out! And here’s what Katie had to say: I’ve seen this MFTVCM a number of times – I’m even watching it right now to try to refresh my memory. But I’ve been trying to think of something blog worthy for 20 minutes and am coming up completely empty…how do bloggers do this?!? OK I will say this – while this holiday movie is better than the average made-for-tv fare it apparently doesn’t elicit any emotional response or sense of loyalty from me. (Are we still friends Liz?) The story is good – I like the main characters but their bffs who spend time together under the ruse that they are the real MFEO pen pals are annoying – big time. And Stephanie says: Ahhh, pen pals who fall in love, literally the story of my life! This movie is cute but the secondary characters kind of ruin it for me. Definitely worth watching though. Also, I asked Katie and Steph to each offer one of their favorites that didn’t make my list. Here goes! From Katie: If You Believe – A Scroogey book editor rediscovers the Christmas spirit when her inner child (played adorably by a teeny tiny Hayden Panettiere) appears and reminds her of how fun & passionate she used to be. Lots of great moments and a little romance of course! From Steph: I love If You Believe as much as Katie does, it’s so great! But my favorite mftvcm is The Christmas List. It’s about a bleh kind of woman who has, on a whim, writes a Christmas wish list to Santa and all throughout the movie she mysteriously gets all she wants. I love it! Four weeks into my countdown of favorite Made for TV Christmas movies (my dad left a comment calling them mftvcm–I’m so proud!) and we’ve reached one that my mom and I both love watching together. In A Boyfriend for Christmas we meet 12-year-old Holly Grant, who asks Santa for a boyfriend for Christmas. But years later, she still hasn’t found the man of her dreams, and she’s given up on Santa Claus. Holly is a social worker, trying reunite a family just in time for Christmas, but she’s up against the big-bad corporate law firm. Enter Ryan Hughes, one of said corporate lawyers, who isn’t sure that his job choice is best. Enter good old Saint Nick, who sends Ryan on a little mission–to give Holly the best gift ever. But when he shows up at Holly’s house with a beautiful tree, he realizes who she is so introduces himself as Douglas Firwood. In the days leading up to Christmas Holly finds herself falling for the kind and mysterious Douglas. That is until her sister in law surprises their whole family by inviting Ted–Holly’s old boyfriend and the key to Holly’s brother’s professional success. Will Holly fall for an old boyfriend or the man who deceived her? And will she find a boyfriend for Christmas? I think it’s pretty clear why I love this movie! 🙂 There’s romance. There’s humor. There’s a very handsome man. There’s a completely implausible storyline. Like I said, what’s not to love? If you haven’t seen this favorite, watch your TV listings, or pick up the movie for sale at Amazon or Walmart. It’s totally worth a watch with your family and friends. 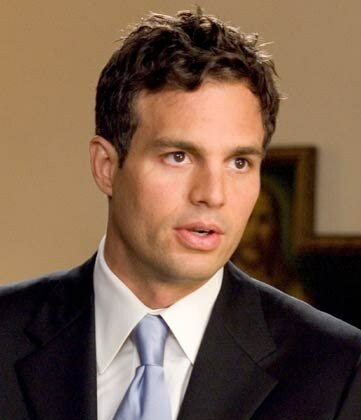 I love Mark Ruffalo. He’s a fantastic actor, but it wasn’t until recently that I realized that I’ve been head over heels for him since he played Bert the security guard in this movie from 1997. Bert wants to be a cop, like everyone else in his family, but he has some sort of eye thing so he can’t pass the test. He’s resigned to working security at a department store. But this Christmas season he catches Trish and her daughter Patsy working their pick-pocket scam on a customer. Trish is off to jail and Patsy to child services, until Bert steps in. They shouldn’t have to be seperated and in jail over Christmas, so he takes responsibility for them. But over the long holiday weekend, Bert and Trish begin to understand that they’re not as different as they thought … one who longs to uphold the law, the other breaking it just to survive. Katie’s thoughts: now we’re getting to the good ones! i have been a devoted fan of this MFTVCM (made-for-TV Christmas movie) since it’s first aired in 97. that’s a decade worth of love friends. truth is – you know how sometimes you know movies are bad but you still love them anyway? that’s the case with this one. i KNOW in my head that this movie isn’t great but my heart just doesn’t care. plus it’s how i first fell in love with mark ruffalo and his shoulders…his shopping mall security guard bert is so sweet and endearing that i makes me consider a life of shoplifting myself. oh – and here’s something i discovered just yesterday. this movie is oddly reminiscent of an old holiday movie with fred macmurray and barbara stanwyck called “Remember the Night” about a shoplifter who ends up spending the holidays with a district attorney and they naturally fall in love. maybe that’s what the creators intended with 2nd Day – whose to know? but the possibility gives me a little more respect for them and the movie. anyway – enough of the babbling – this one is worth your time – watch it! Stephanie’s thoughts: I’ve only seen this movie one time and that’s all I’ll ever need. The only thing that I rememeber about this one is a really bad wig. I do not recommend. For the record I (Liz) have no memory whatsoever of a bad wig in this movie. But even if there is one, it is so worth it! Don’t miss it on Lifetime this year! Welcome back to the Christmas Movie Countdown. If you missed the introduction last week, I’ll recap for you quickly. 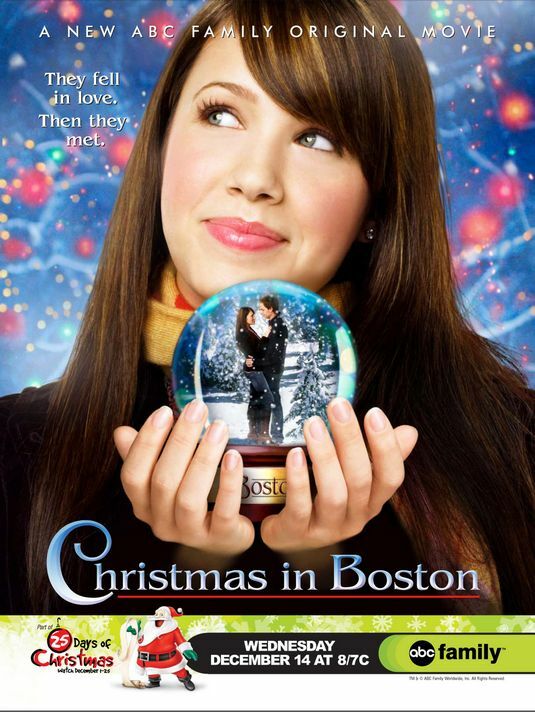 I’m counting down my top five favorite made for TV Christmas movies, and today is my number 4 pick! 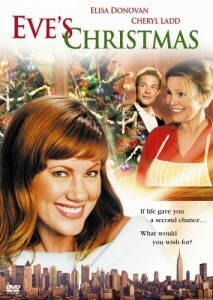 Eve’s Christmas came out in 2004 and is the story of Eve Simon (played by Elisa Donovan), a successful business associate in New York City. But as Christmas approaches and her skeezy boss hits on her, Eve wonders if years ago she made the right decision to leave her fiancee at the altar and take the internship that has made her the business mogul she always longed to be. On the streets of NYC, Eve meets a mysterious man–not surprisingly an angel–who sends her back in time. When Eve wakes up the next morning, she’s back living in her parent’s home and still planning her Christmas wedding to Scott. But as Eve gets to relive her life, she is faced with the same decision that she already made once–badly. So what will she do? I think one of the reasons I love this movie is that the ending really surprised me. You think she’ll go with the guy just because it’s a sweet Christmas movie, but it doesn’t play out like every other rom com. We get to see her be great at what she’s great at while still being in love with a really cute boy. I also really love Eve’s relationship with her mom. It’s so sweet. It makes me want to go home and bake cookies with my mom. Catch it on Lifetime this Christmas season, and be sure to let it pull you into the holiday spirit. Have you ever had to choose between a man and the job that you love? What’d you do? What would you do if you were confronted with that question? so I’d only seen this movie once-i guess the year it was new-and never made a point to watch it again so that’ll tell you something…but for the sake of the blog i subjected myself to it a second time – and i have to tell you – my initials impressions still stand. in theory i think the idea of the movie is good – girl gets second chance at righting a wrong in her past (by traveling back in time of course! this is a tv movie after all!) and in the end makes the right decisions that lead to a great life with the man she loves. but the truth is, i just don’t like eve and i don’t care if she chooses the guy or the job or gets stuck in the past or with her crappy reality or jumps off a cliff (too far?). needless to say, this one wouldn’t make my top 5. sorry liz! I love made for television movies. Made for television Christmas movies are especially wonderful. This was the first time I had seen Eve’s Christmas and, though not my favorite, it did not disappoint. When referring to our last movie, Holiday in Handcuffs, Katie said that one of the must-have qualities of a made for tv Christmas movie is a “completely implausible storyline.” Eve’s Christmas has plenty: wishes upon the Christmas Star, guardian angels, and time travel! Will Eve make the right decision the second time around? As previously confessed on this very blog, I love made for TV movies. I catch nearly every ABC Family, Hallmark, and a some of the Lifetime made for TV movies. So in honor of all the wonderful made for TV Christmas movies, I thought I’d offer a countdown just for you. So every Friday from now until Christmas day, I’ll share with you one of my favorites. As a disclaimer, I’d like to point out that these are only those movies that first aired on TV, so Elf and Miracle on 34th Street couldn’t even be considered. Before I reveal number 5 on my list, I can’t fail to mention some others that I enjoy. The Christmas Card – totally would have made the top 5, except that the guy is not a good actor. at all. So now … let’s begin the list. In the 5th spot …. Melissa Joan Hart (oh, yea, that’s Sabrina the Teenage Witch and Clarissa Explains it all) stars as a waitress whose family has higher aspirations for her, but her life is falling apart rapidly, starting with a bad perm (oh, my gosh, that’s one of the funniest scenes) and her fiance dumping her. With her family expecting to meet her fiance at their cabin for Christmas, she’s desperate. Enter Mario Lopez’s character, who is about to propose to his girlfriend at the diner where our heroine works. She pops him over the head and kidnaps him, telling her family that he likes to joke about being kidnapped. And they buy it. It’s a funny, sweet story of learning to love your family wherever they are. And that what you thought you wanted in love, might not be what you really need. Catch it on ABC Family in their 25 Days of Christmas celebration this year!